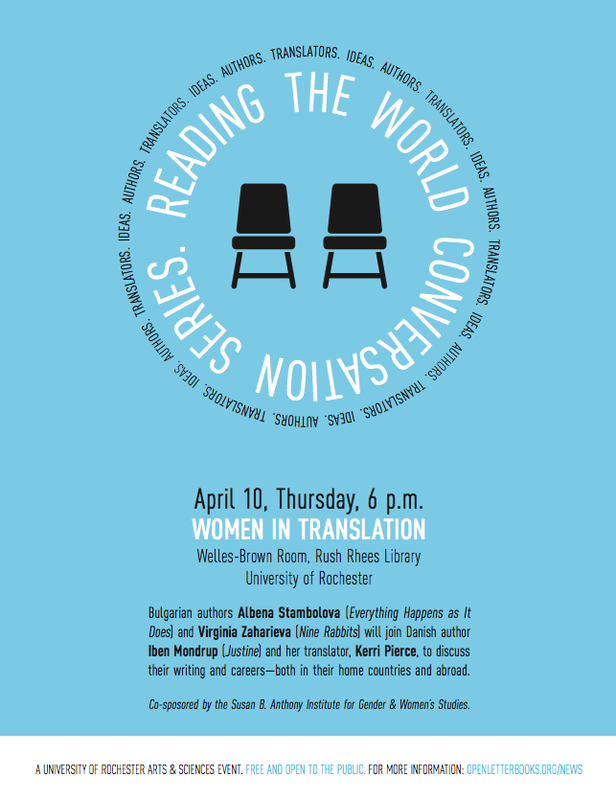 Women in Translation, a Reading The World Conversation Series Event will take place Thursday, April 10 at 6 pm in the Welles-Brown Room, Rush Rhees Library. The event is free and open to the public. Bulgarian authors Albena Stambolova (Everything Happens as It Does) and Virginia Zaharieva (Nine Rabbits) will join Danish author Iben Mondrup (Justine) and her translator Kerrie Pierce, to discuss their writing and careers – both in their home countries and abroad.